This event is inspired by Delaware Innovation Week. 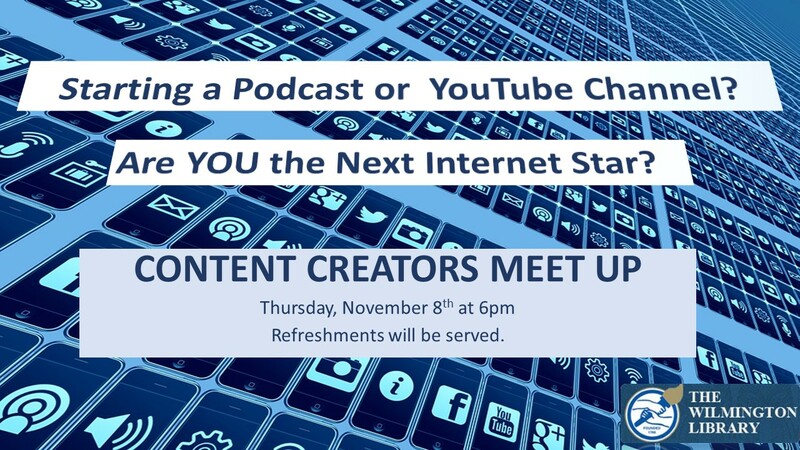 The Wilmington Public Library will host a meetup of creatives to explore various ways to create and share content on the internet and social media. Bring your tablet, cameras, selfie sticks and smartphones and prepare for an evening of innovation and exploration. Refreshments will be served.